Message to Aspies: Are you afraid to take an honest look at yourself? One of the most characteristic symptoms of Aspergers (high-functioning autism) is a deficit in social behavior. Many reports written by researchers have described this problem and it is thought by many to be the key defining feature of Aspergers. The social problems can be classified into three categories: socially indifferent, socially awkward, and socially avoidant. Due to the fact that "Aspies" can so confusing at times, it’s easy for their partners to fall into the trap of feeling inadequate and discouraged. 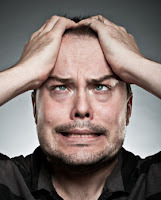 Some men with Asperger’s (AS) have significant anger-control issues. Anger may be a common reaction experienced when coming to terms with problems in relationships, employment, and other areas in life affected by AS. Sometimes there is an ‘on-off’ quality to the anger in which the individual is calm minutes later after an outburst – sometimes leaving his partner in shock. She may feel hurt or stunned for hours, if not days, afterward. NT partners often struggle to understand such angry outbursts, with resentment often building up over time. In some cases, the man with AS may not acknowledge he has anger-control issues, and will blame his partner for provoking him. Again, this can create major conflict within the relationship. 1. Plan ways to become distracted from the stressful situation (e.g., carry your cell phone and play a game on it). 2. Focus on self-awareness. This is where you become more aware of your personal thoughts, behaviors and physical states which are associated with acting-out in anger. This awareness is important because it helps you to notice the early signs of becoming upset. Write down a list of mental and physical changes you notice as you begin to get mad. 3. Make changes to routines and surroundings (e.g., if possible, avoid driving in peak hour traffic). 4. Keep a record. As you become more aware of situations associated with angry outbursts, you can keep a record of events, triggers and associated levels of anger. Explore the different levels of anger (e.g. slightly annoyed, frustrated, highly irritated, royally pissed, feelings of rage, and so on). In your record of situations that trigger anger, list the situation, the level of anger on a scale of 1 to 10, and the coping strategies that help you overcome or reduce angry feelings. 5. Explain to your partner how she can be of help to solve the problem in question. 6. What’s the big goal? Identify why you would like to manage your anger more successfully. Identify what benefits you expect in everyday living from improving your anger-control skills. 7. Avoid situations which are associated with a high-risk of getting you upset. 8. Get feedback. Ask other people who know you well to describe situations and behaviors they have noticed that seem to trigger your anger. Stop and think before reacting to the situation (e.g., “My goal right now is to improve my ability to cope with anger when I am waiting in long lines”). Challenge your inaccurate or negative thoughts (e.g., “The service here is so inefficient. Why can’t they hurry up? I'm going to get pissed any moment now. WAIT. Stop thinking this!”). Create your new thought (e.g., “Everyone is probably aggravated by this long line – even the cashier serving us. I can either come back later, or I can wait here and think of something pleasant”). 10. Try meditation. Most people won’t even consider this one, but I know of many people who have found more benefit in this technique than any other – by far. When a stressful situation arises - with practice - you can immediately "train" your mind to focus on a pleasant and calming memory or image, rather than hyper-focusing on the current problem. It probably goes without saying that people with Asperger’s (high-functioning autism) should not feel ashamed of who they are. I think it’s worthy of mention though, because some of these individuals – at some point in their life, and if they’re honest with themselves – have indeed felt “flawed” to one degree or another (usually as a result of repeated rejection and criticism from “typical” people). If you’ve got a spark to you, and you’ve got things you’re super-interested in, don't kill it by trying to “conform.” Don't throw away one of best things you have going for you: your passion, even if it's living life on your own terms. Never settle for a cookie-cutter existence. Many people with Asperger’s are so excited about their “special interests” that they barely notice they're the odd ones out (or if they do notice, they simply don't care). Use your talents and passions to find your “niche” – at school, in the work place, and elsewhere. Many “quirky” Aspies find refuge in the arts, drama clubs, social networks, and so on. It’s always possible to find a place where you “belong” and can be accorded respect. If there's a particular subject you’re interested in, see if you can start a club or online group – and find other people interested in the same thing. If you do encounter some harassment or rejection, you will already belong to - and have found success in - enough other activities that it won't really matter much. When you let your true colors show, you will find focus and direction, establish boundaries, build courage, establish your own identity, and live in alignment with your values and beliefs. So, back to the question of: Should You Try to Act Normal? Are you “different” in many aspects? Yes, of course. But, are you “abnormal”? NO! Do you find it difficult to make friends? Do you find it difficult to keep a conversation going? Do you find it difficult to imagine how someone else feels? Do you find it distressing when things change? Do you find body language difficult to understand? Do you find it hard to tell what emotion others are feeling? Do you find it difficult to say what you mean? Knowing this can be very useful as you will then be able to tell others about these difficulties - and also work on improving them. Why Do Some Adults with Asperger’s Get Labeled as “Stubborn”? One frequently observed trait of Asperger’s (high functioning autism) is inflexibility in thought and behavior. 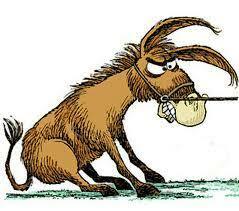 Inflexibility seems to pervade so many areas of the lives of people with Asperger’s. As a result, many get labeled as “stubborn” by their significant others (e.g., family members, partners, spouses, co-workers, etc.). 1. Some “Aspies” can be moralistic (i.e., a self-righteous and inflexible adherence to nonnegotiable moral principles that is usually out of context with practical reality). An example might be the Aspie who criticizes his wife who has run a yellow traffic light when she is on the way to the emergency room for treatment of a burn or cut. 2. Novel situations often produce anxiety for these individuals. They may be uncomfortable with change in general, which can result in behavior that may be viewed as rude and insensitive. 3. Routines and rules are very important to people with Asperger’s in providing a sense of needed order and structure, and thus, predictability about the world. When routines or rules are disrupted, anxiety often follows. 4. People with Asperger’s may have some fears in addition to those related to unexpected changes in schedules (e.g., large groups of people, complex open environments such as bus stations, an unexpected academic challenge, having too many things to remember or too many tasks to perform, etc.). Such highly-stimulating situations tend to overwhelm these individuals. 5. Many people with Asperger’s have sensory sensitivities, and therefore may refuse to do certain things or go certain places (e.g., refusing to go with his or her spouse to a family function in order to avoid the over-stimulation of a large group of a people – all talking at the same time). “Facts” are what people with Asperger’s learn and feel less anxious about. Since they have a hard time with all the normal rules of society, having strict rules and routines has a calming effect on them. Unfortunately, this coping strategy can be perceived by others as severe inflexibility. Understanding what causes so much anxiety and inflexible behavior may help “neurotypical” partners and spouses to know where their Aspie is coming from. In other words, his or her “stubbornness” can be viewed (at least some of the time) as a coping mechanism to reduce anxiety rather than willful and malicious conduct. o Asperger's Boyfriend Doesn't Like To Be Touched? o Aspergers Boyfriend Has a Computer Addiction? o Aspergers: Disability or Unique Ability? o Do I have High-Functioning Autism? o Does Your Man Have Asperger’s? 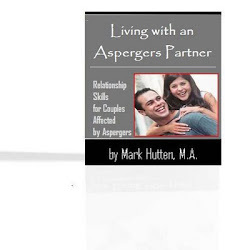 o Does Your New Boyfriend Have Asperger’s? o It’s Asperger’s! Should You Share the News? o Quiz for Partners: Do You Have Asperger’s? o Should You Disclose Your Diagnosis to Others?